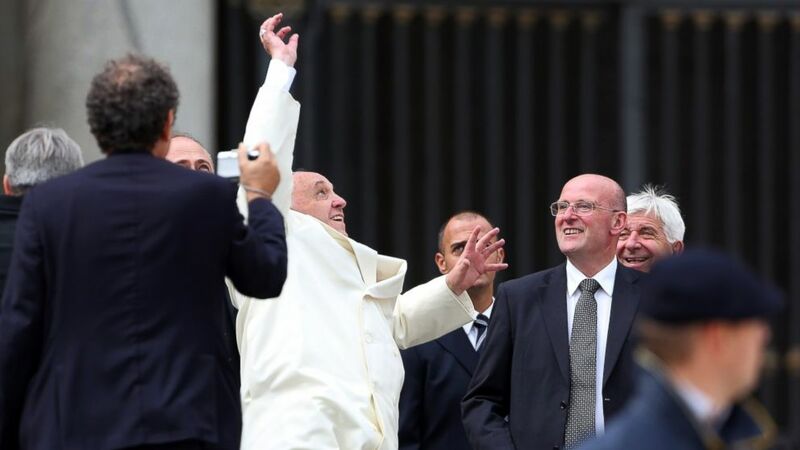 The pontiff was thrown the ball by a fan today at St. Peter's Square. 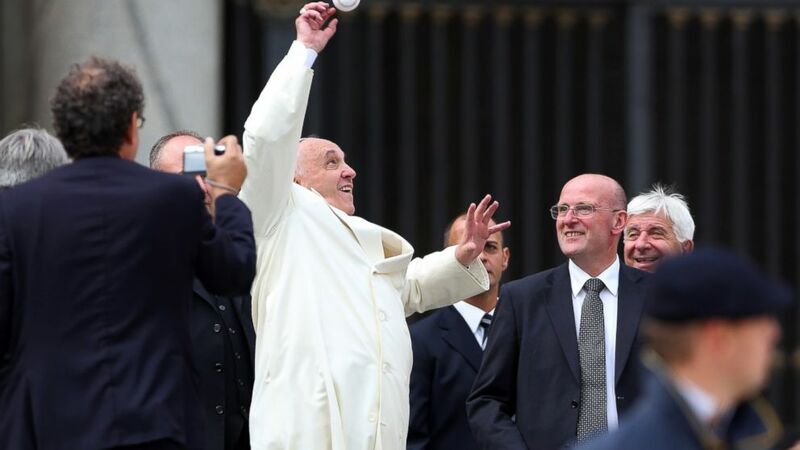 camera (Franco Origlia/Getty Images) Pope Francis loses his 'papalina' cup as he reaches to catch a baseball ball thrown by a faithful at the end of his weekly audience at St. Peter's Square on Sept. 24, 2014 in Vatican City, Vatican. Looks like Pope Francis is ready for some playoff baseball. 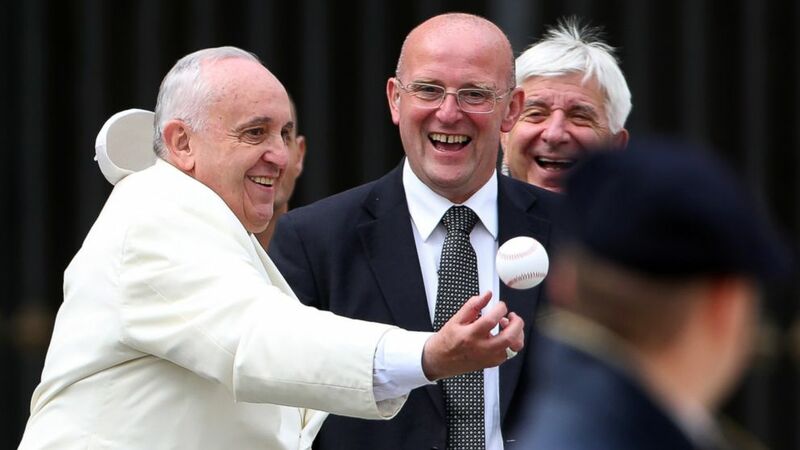 The 77-year-old pontiff urged an onlooking fan at St. Peter's Square to throw him a baseball, despite his nervous-looking security detail. 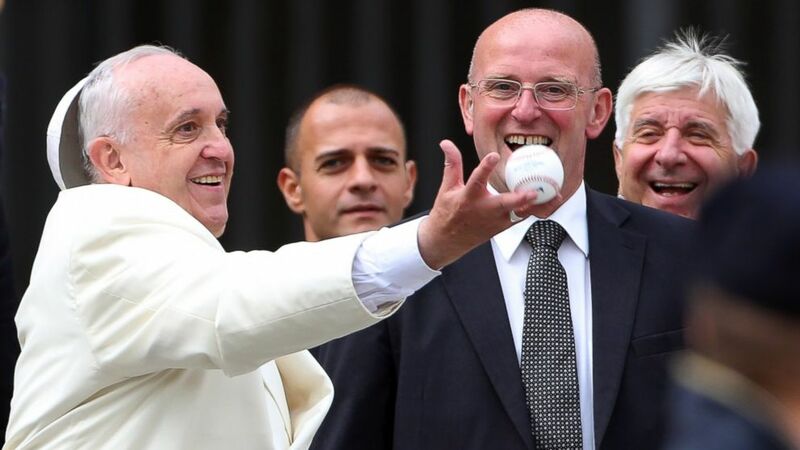 The fan was behind a barrier that was just yards away from the leader of the Catholic Church, but that didn't stop the pontiff from encouraging the fan to throw him the ball. The ball bounced in the pope's right hand, before falling to the floor. (Franco Origlia/Getty Images) Pope Francis jumps to catch a baseball ball thrown by a faithful at the end of his weekly audience at St. Peter's Square on Sept. 24, 2014 in Vatican City, Vatican. The encounter took place at the end of his weekly audience at St. Peter's Square. When he dropped the ball, a bevy of the security guards dived to retrieve it for him. The pope, a known soccer fan of the Argentine club San Lorenzo, then signed the ball and returned it. (Franco Origlia/Getty Images) Pope Francis loses his 'papalina' cup as he reaches to catch a baseball ball thrown by a faithful at the end of his weekly audience at St. Peter's Square on Sept. 24, 2014 in Vatican City, Vatican.